Our site is currently experiencing technical difficulties with processing credit/debit card payments with our eCommerce system. However, we can still easily accept payment via PayPal. 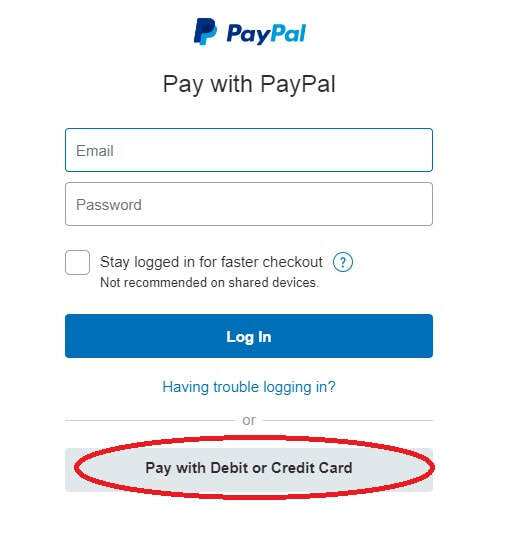 YOU DO NOT HAVE TO HAVE A PAYPAL ACCOUNT OR OPEN A PAYPAL ACCOUNT IN ORDER TO USE THE SERVICE. Follow these 3 simple steps to complete your transaction with your credit or debit card. After clicking "BUY IT NOW" on the products you want to purchase, you will be taken to your "cart." - Enter your name (first & last), address, & phone number. We do not use phone numbers for cold calling purposes. Your information will be kept private with our company & is only used to contact you if there is an issue or change in your order. - Select the authorization boxes. You must select the first 2 boxes in order to continue processing your order. The 3rd box is optional if you'd like to join our email list & receive great offers from our company. - Click "Continue to Paypal"
After completing the steps above, you will be re-directed to this screen. If you have a PayPal account, you can sign in here by entering your PayPal login information. Click "Pay with Debit or Credit Card"
This information is only used to securely process your payment. Your payment information will not be saved. - Press PAY NOW when you are finished. Your credit or debit card will then be processed. You should receive an email from PayPal to the email you provided with a notification of your transaction. 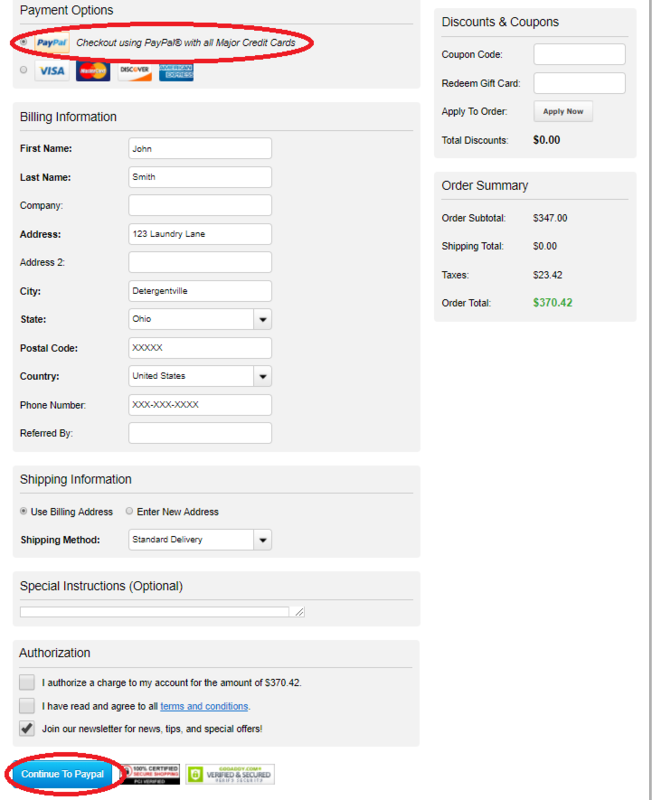 You will receive a separate email from EcoWasher/EcoInventions with your receipt & tracking numbers for your shipment.